It’s almost that crazy time of year again when ghosts and ghouls come out and play and the dead walk the earth – Halloween. 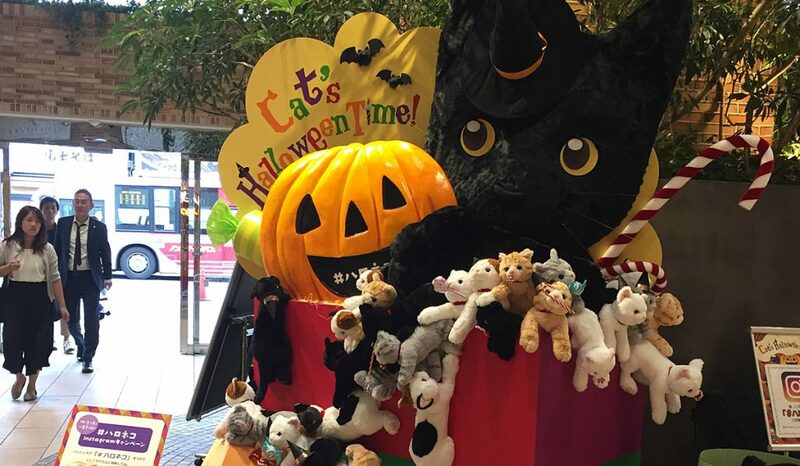 Japan has embraced Halloween in its unique way and you’ll find many Halloween themed items, food and costumes everywhere from shops, restaurants to theme parks. 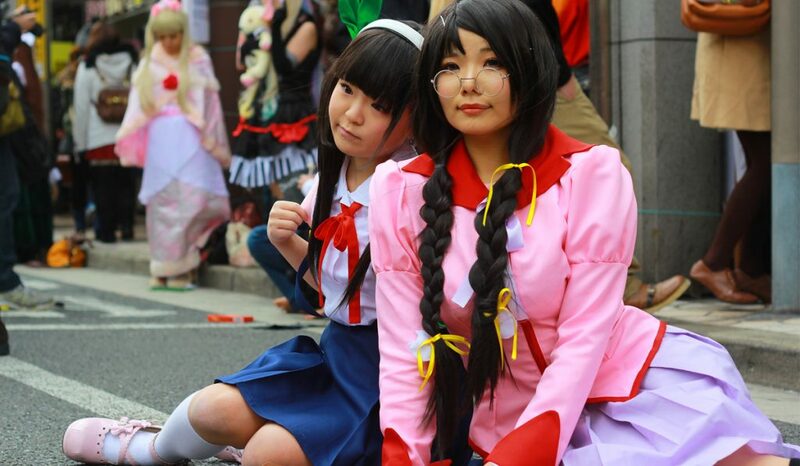 Rather than go trick-or-treating, young people use Halloween as a reason to dress up as their favorite character as cosplay is very popular in the land of the rising sun. There are many events and parties in Tokyo where you can go crazy in your Halloween get-up and we’ve listed the 10 best spots to spend your Halloween in Tokyo. 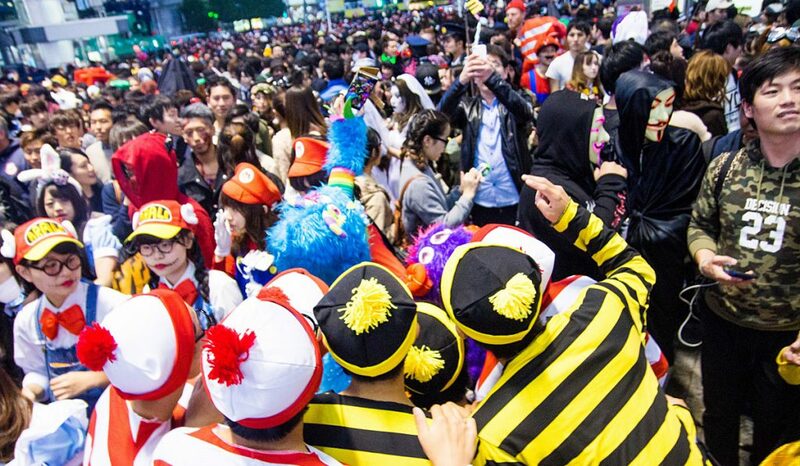 If you are into cosplay then we recommend visiting the Ikebukuro Halloween Cosplay Festival. Cosplay is big in Japan and during this event many cosplayers from all over the country will come to show off their outfit which will be live broadcasted on Niconico. There are stage events and a cosplay runway, and for those who don’t have an outfit there’s even a cosplay outfit service (costume rental about 1,500 yen per day) that rents out costumes for a day. 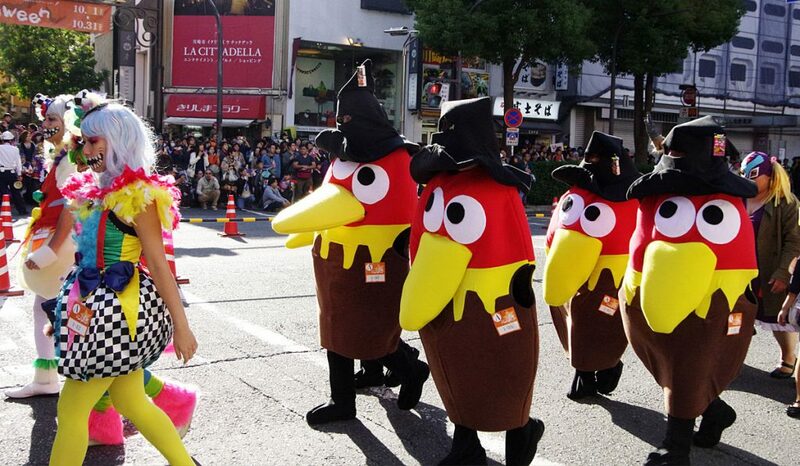 Held in Roppongi Hills, this parade for kids runs through a 1-kilometer stretch through Roppongi. Children in costume can participate in the parade and there is a music band playing lively Halloween music leading the parade. Other Halloween activities are a stamp rally, costume workshop and there are many shops and stalls selling Halloween-themed food and snacks. A visit to Tokyo Disneyland or DisneySea is always exciting and a whole lot of fun. But during Halloween, the place becomes even more special and magical. Don your favorite scary costume and join the many visitors for a fun (and scary) day at the resort. The parks features Halloween decorations and many restaurants will serve up limited scrumptious Halloween food and menus. Special Halloween parades and shows are also given and some rides even feature a special Halloween theme during this spooky holiday. Join Mickey and the gang for a truly special Halloween celebration. 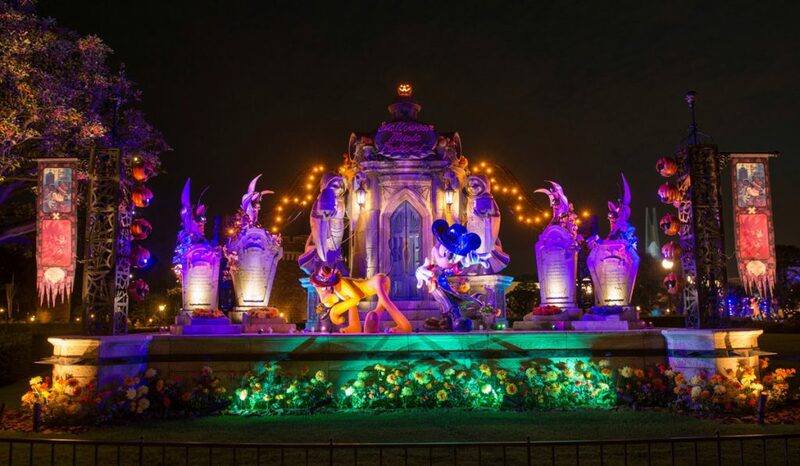 Check the Official Tokyo Disney Resort site for more information. Shibuya is busy any time of day but during Halloween the area between Center Gai Street and the famous Scramble Crossing becomes one giant block party. Locals and tourist from all over will dress up as the most craziest and outrageous characters and party up. The area becomes crowded at night during the weekend leading up to Halloween and reaching its peak on October the 31st (this year Halloween falls on a Wednesday). Over 1 million people are expected to show up during this crazy event showing off their Halloween get-up, and many clubs and venues organize special Halloween parties. You might not think of the Tokyo Tower to spend your Halloween but the Halloween spirit is celebrated even high in the sky. The Tokyo Tower actually has two events during the Halloween season. 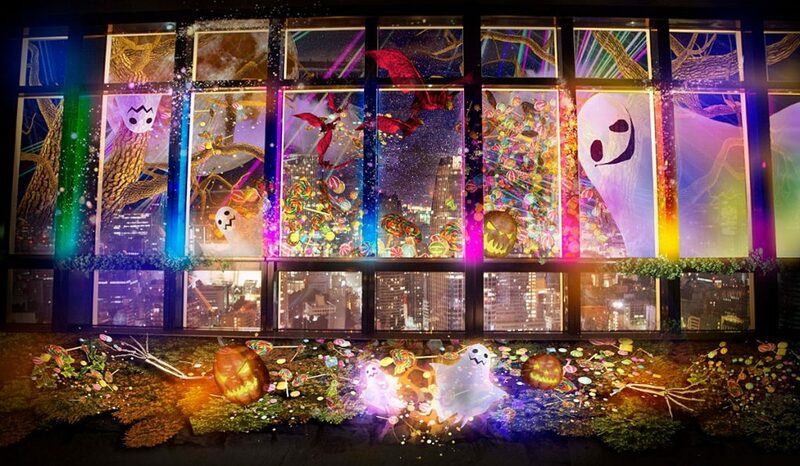 The “Tokyo Tower Halloween Night Fantasia” is a special projection mapping event on the Main Deck where you can enjoy the cityscape and experience digital Halloween visuals and sounds as you gaze through the windows. Dress up as your favorite scary character (free rentals are provided) and take pictures at the many scary locations on the Main Deck during the “Halloween Costumes over Tokyo” event. 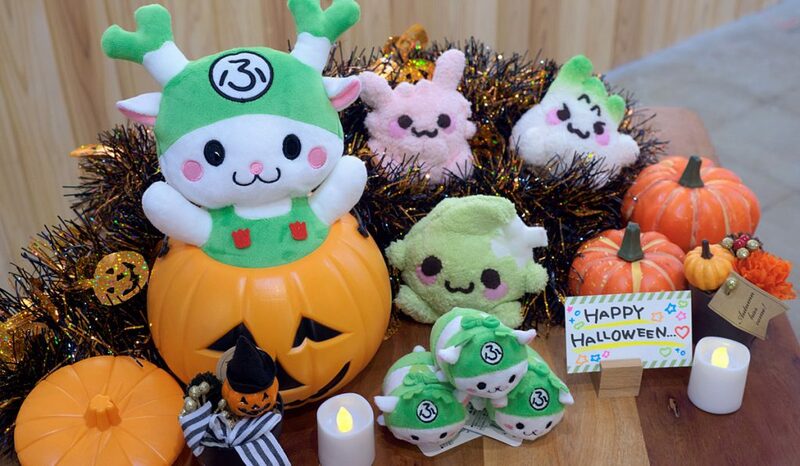 If you like kawaii and scary, head over to Sanrio Puroland, and join the most cutest Halloween event in Tokyo. 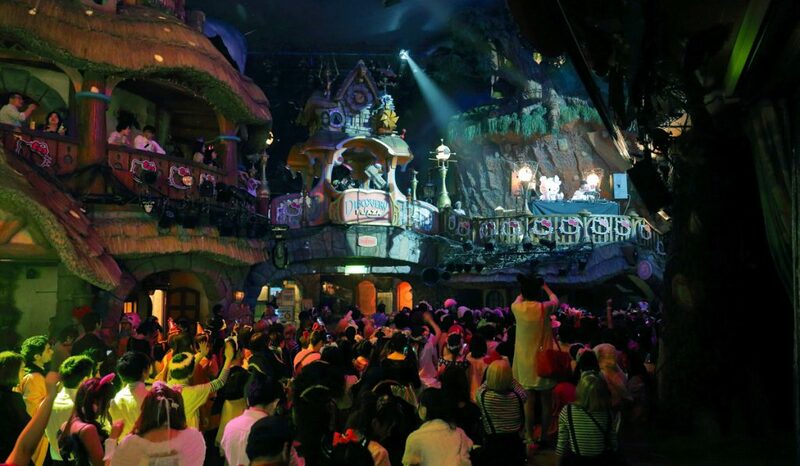 The event is held at the indoor theme park and is split into two parts, daytime and nighttime. During the daytime you can dress up as your favorite (Sanrio) character and ride the many Halloween themed attractions or take pictures at the many photo spots. During the nighttime things get more serious and you can experience scary attractions that will have you screaming in fear… The Halloween festivities won’t be complete with a variety of Halloween themed foods that can be enjoyed at the many eateries at the park. Also, if you come fully dressed up in a Halloween outfit, you can even get a discount entry ticket to the park. 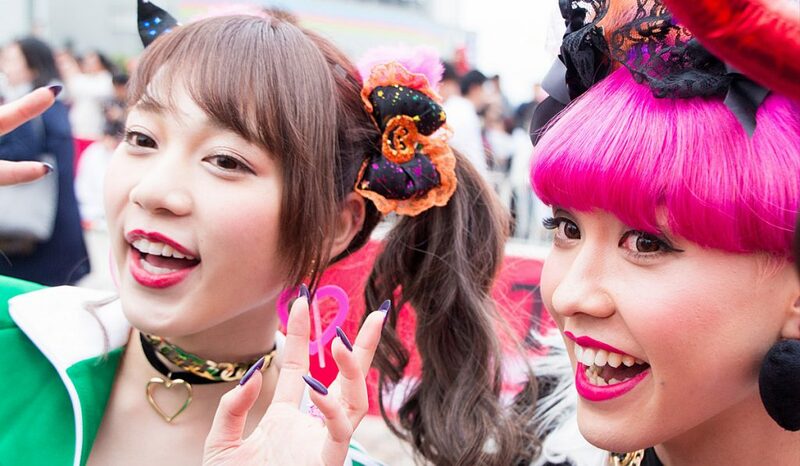 The T-Spook event is the largest Halloween event in Odaiba organized by Mezamashi TV. During this event you can enjoy live performances by famous Japanese artists and a cosplay parade where famous artists and visitors can join. The number of visitors can climb up to 100,000 people so make sure you arrive early to register and reserve a spot on the parade if you want to join. The event is also your chance to spot many famous artists and celebrities and perhaps you can even get an autograph! Check out what else there is to do in Odaiba here. The main event of this child-friendly Halloween event is the Pumpkin Parade where children aged 12 and below can join the parade (parents and guardians can join too). There’s also a trick-or-treat rally where children can get candy from participating shops (a special rally map can be picked up). Many restaurants and cafes will serve up special Halloween menus and some shops and restaurants will even provide special discounts if you’re dressed up. Close to Tokyo is Kawasaki City and its Halloween Parade and Festival are one of the most largest and well known throughout Japan. You can either dress up as a scary character or celebrate your sexuality during this special Halloween and Pride Parade. Other events are live music performances, costume contests, dance events and afterparties. There’s also a parade especially for kids during the day. This special Halloween Parade is all about cats! “Bake-Neko” literally means cat transformation and on this day it’s all about celebrating cats and all their feline glory. To participate in the parade you have to dress up as a cat or anything related to cats like putting on cat ears. This originally Japanese festival features food yatai’s (Japanese food stalls), make up services and dance performances.If you’re a cat lover, you will not want to miss this special event. The things to do in Tokyo during Halloween are seemingly endless, from parades and parties to Halloween themed theme parks, there is something for everybody. 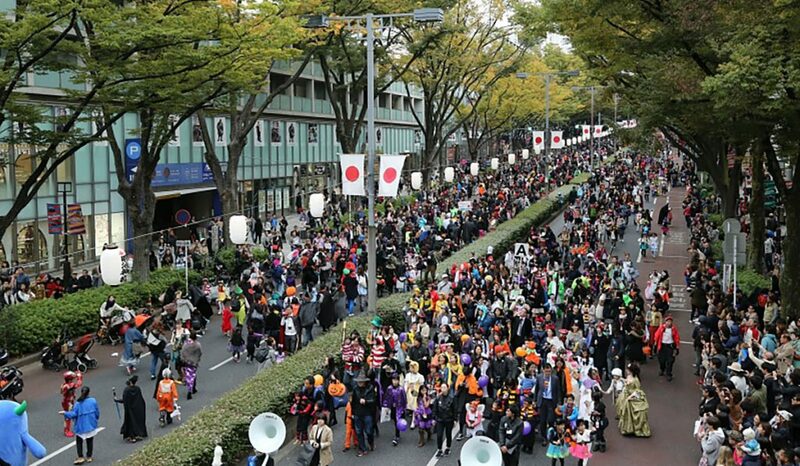 So put on your most scary costume, join the fun and experience Halloween Japanese style! Who are you going to dress up as this Halloween? 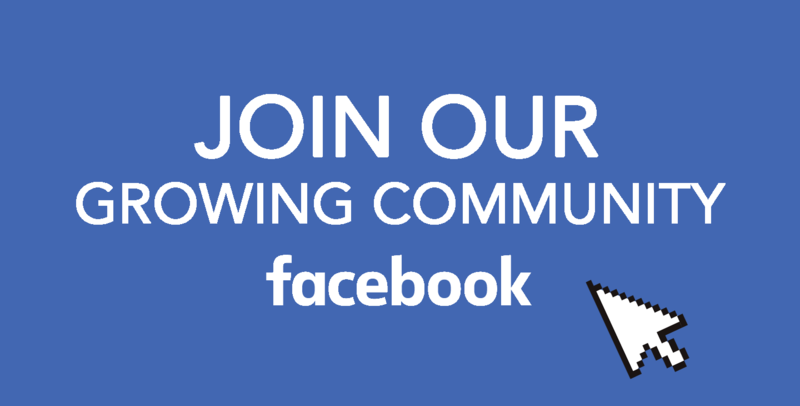 Tell us on our Facebook group! You can also find Your Japan on Facebook, Instagram, Twitter, and Pinterest for more Japan stuff!